Godfrey Phiri knows deep in his heart that climate change will place greater pressure on African communities, particularly in Zambia, his homeland. For Phiri, climate change means diminished availability of food and natural resources, essential for human health, biodiversity health and ecosystem health in Zambia. And he should know. Phiri has two university degrees in Philosophy and another degree in Development Studies. He recently passed his qualification in Management, REDD+ Project implementation, Monitoring and Evaluation for Impact and Leadership. Over and above his background in community development, he is a Headman for the village of his birth and a well-spoken, charismatic advocate for community-based forest protection projects. So what does it all mean, these titles and accolades, for someone who was brought up by his elder brother, who left his parents’ house when he was a mere eight years old? It is a huge honor, when you consider that Godfrey comes from a very time-honored background where traditional authorities had a huge influence on the lives of the local people. In those days he was an absentee Headman because he only visited his village, instead of staying there. The village Headman was the person appointed to administer an area that is usually a single village and he often had to act as mediator in personal disputes and relationships. Today, Godfrey Phiri has moved on, so to speak, and is employed by BioCarbon Partners (BCP), a social enterprise which works in countries like Zambia to try to kick start new approaches to its carbon projects by finding community-based solutions to deforestation, thereby driving change. These projects come from a core philosophy of caring for people and environments in a way that will find solutions to deforestation. These need to come from the community self and they need to benefit the landscapes wherein these people live. BCP therefore focuses on using innovative partnership-based Reduced Emissions from Deforestation and Degradation (REDD+) projects – which is where Phiri comes in. “I got involved in community-based forest protection projects (CFP) by employment based on the qualification I have and the passion I have to use community-based natural resources management for local area development and to contribute to long term reduction in climate change,” he says. For Phiri it is therefore imperative that “we work to prepare communities to deal with the adverse impacts that climate change will bring about. “ And REDD+ is one mechanism that can be used to greatly contribute to climate change as it has both economic and climate improvement benefits. So how does one explain REDD+ in layman’s terms? It is a worrying fact that deforestation (loss of natural trees and forests through unsustainable human impacts) and forest degradation (dilapidation of forests through human misuse) make up 17-29% of green house gas emissions worldwide. And if humans start to reduce these causes of gas emissions, it will be one of the cheapest strategies to slow down climate change. If we try to regrow forests on degraded lands where they have been removed, this can help to remove the build-up of CO2 from the overloaded atmosphere by replacing biomass (plant and animal based materials) and turning forests into a sink of greenhouse gases. In other words, REDD+ helps to slow down the release of greenhouse gases from forest land when the cutting of trees is reduced. This includes doing their best to avoid such activities including logging and to implement land use planning and other sustainable techniques. “At BioCarbon Partners I am Senior Community Engagement Manager, facilitating community engagement as the center of community forest protection. 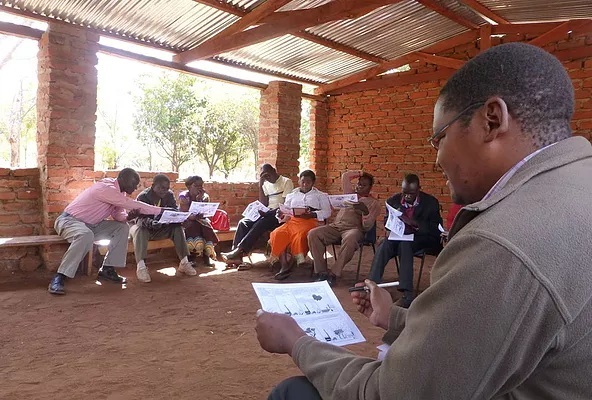 It is my conviction the through BioCarbon Partners, Zambia’s natural resource based value chains will make a great contribution to local economies, forest land cover and improve the country’s biodiversity,” says Phiri. He is also adamant his work will greatly contribute towards the East and Central trans-frontier eco-system management, in a bid to improve the quality of water, increase rainfall, and enhance wildlife movement by enriching and extending wildlife corridors. BCP’s mission is to reduce poverty and enhance conservation through global forest carbon markets. 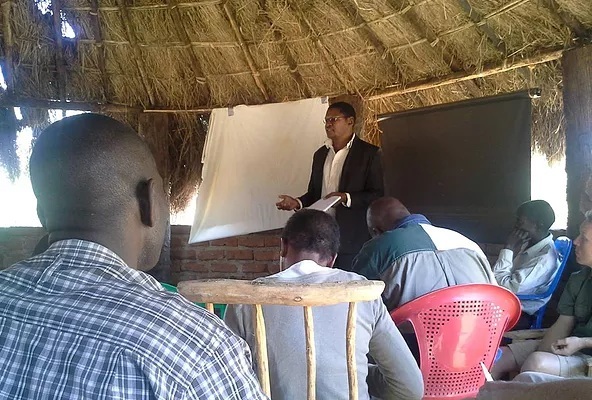 The small company has more than 20 different types of community-based deforestation mitigation activities planned for completion in the Project Zone for their current pilot REDD+ activities in Rufunsa District – an area where deforestation rates are 11 times Zambia’s national average of 250-300,000 hectares per year! 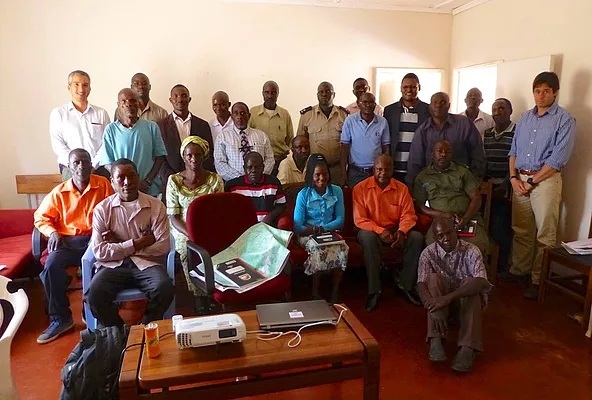 BCP is now in the process of expanding their activities into the Eastern Province of Zambia where they have a similar approach and will launch similar types of activities. BCP has discovered that some 70% of households in this area make money from producing charcoal and that income dependency on charcoal production among these households is as high as 90%. 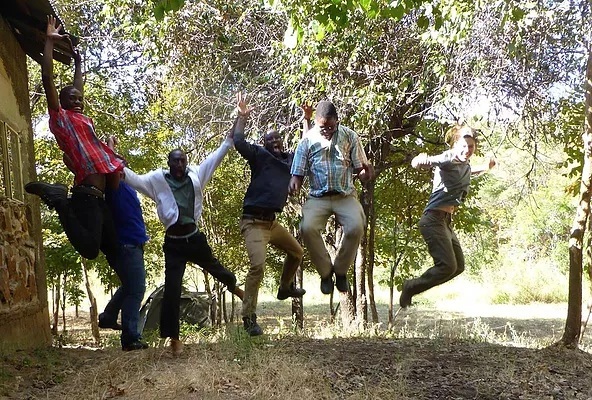 “Community-based forest management also relates to tourism because forests are the habitat for wildlife and with healthy forests you have an improved biodiversity and increased tourism. Tourism cannot flourish without healthy forests,” says Phiri. A cross section of members of the BioCarbon Partners. BCP focuses on using innovative partnership-based Reduced Emissions from Deforestation and Degradation (REDD+) projects. “Global sea level has risen by about 8 inches since reliable record keeping began in 1880. It is projected to rise another 1 to 4 feet by 2100.” (http://nca2014.globalchange.gov/report/our-changing-climate/sea-level-rise). People need to learn how to adapt and to learn how to cope with the expected impacts of climate change. This sounds depressing and difficult to do but we can all make adjustments in the ways we respond to actual or expected changes in climate. We can all work together to help to reduce the harmful effects that climate change could have on people and the land – instead of being vulnerable and succumbing to huge changes, let us all take advantage of these and build up our resilience. This Phiri terms community-based Adaptation.